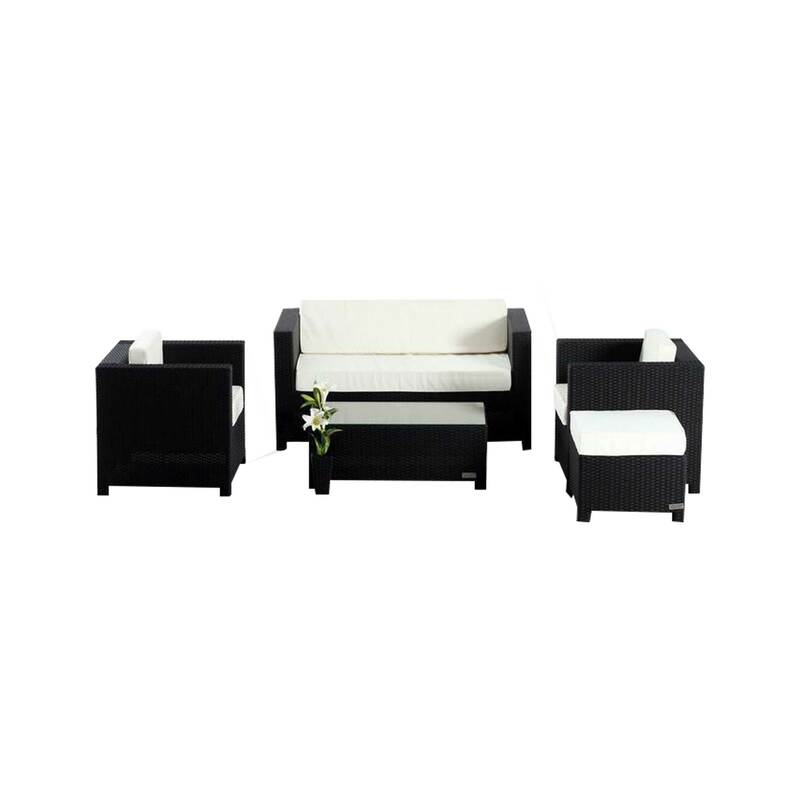 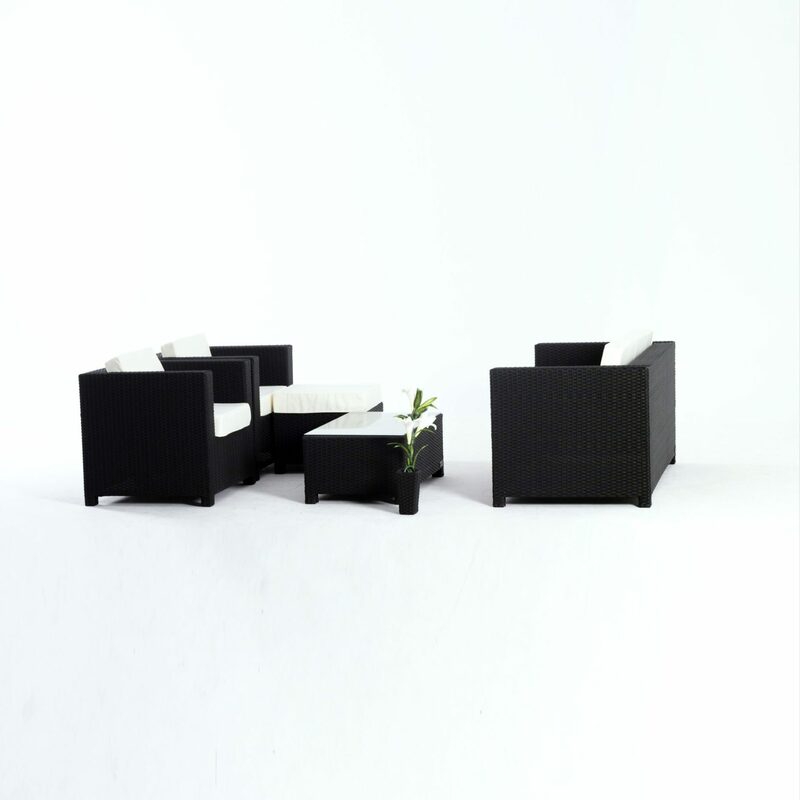 This beautiful and versatile set is the perfect addition to your patio arrangement. 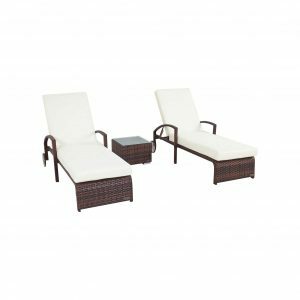 With two single chairs, a double chair, and a tea table, this set has everything you need to entertain guests or relax with family. 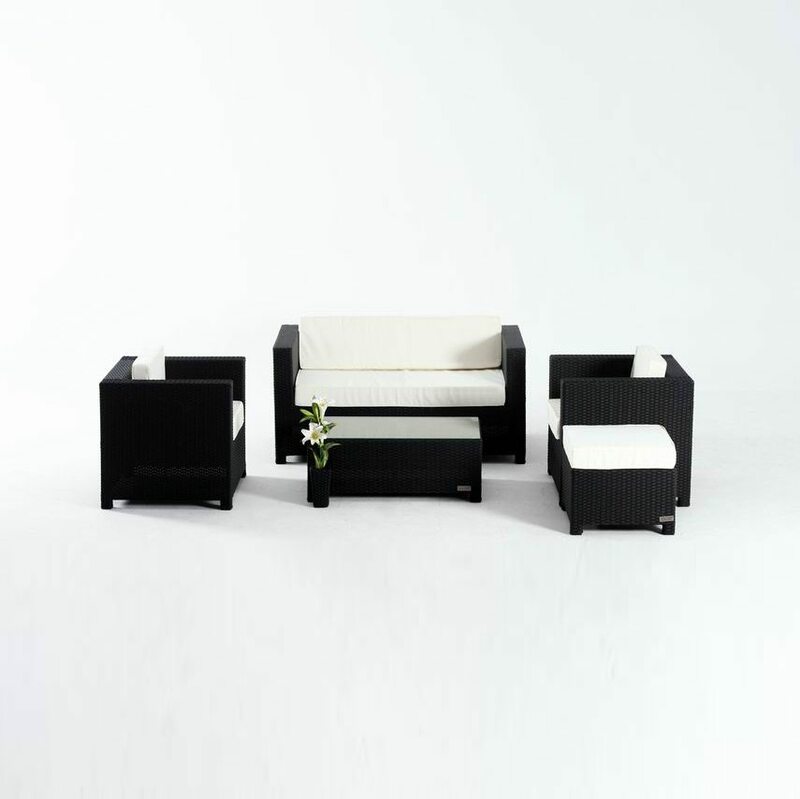 The chairs, which are equipped with sumptuous, matching cushions, will tempt you to sink into them every day of the year, while the glass-top tea table is perfect for serving food and drink. 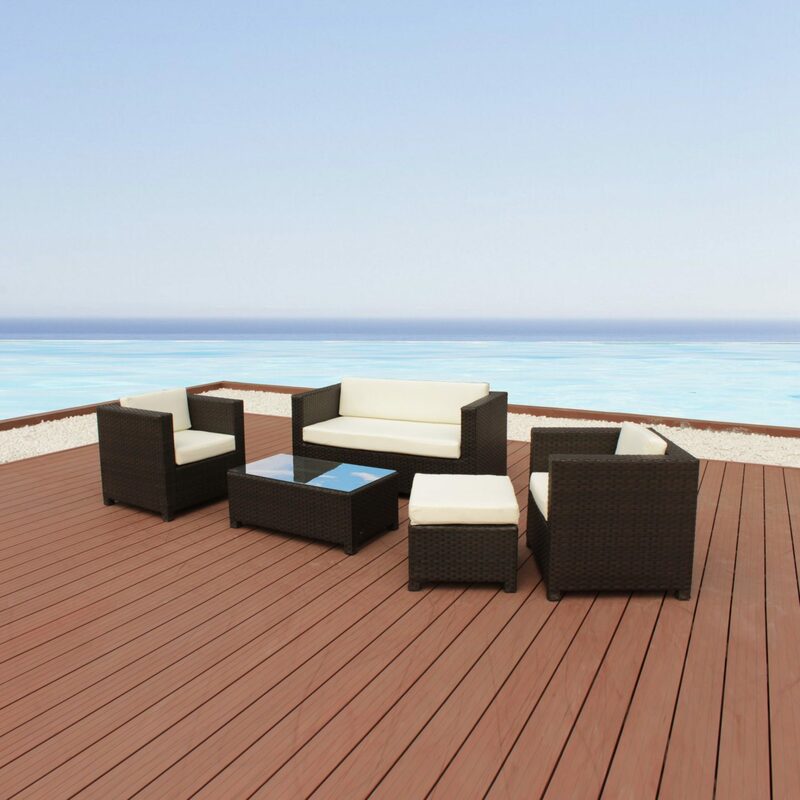 Buy this set today to create the ultimate outdoors experience!